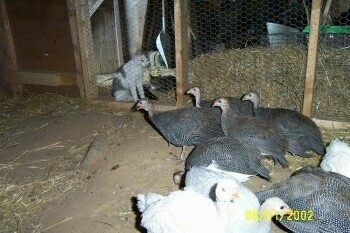 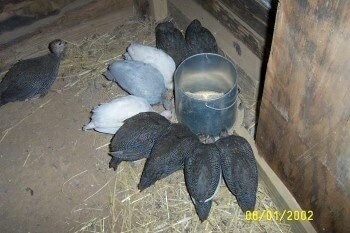 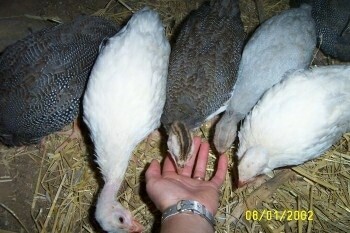 Lunch!—At 6 weeks old the guineas are eating medicated turkey starter mixed with turkey grower. 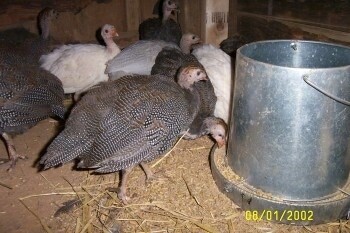 They are slowly being switched over to an all-turkey grower diet. 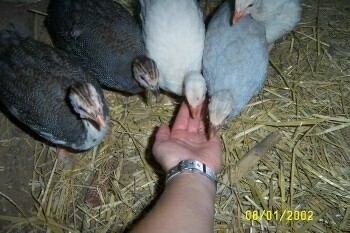 The guineas are pretty tame. 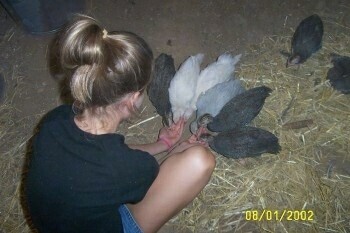 When called, they will come right up to you and peck your hand. 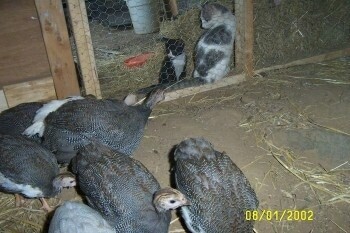 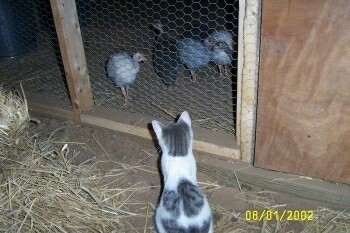 The cats are checking out the guineas, or shall I say the guineas are checking out the cats?! 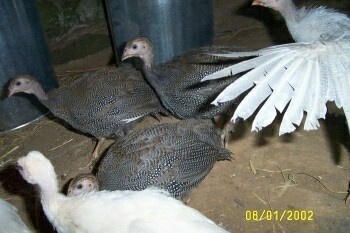 In just two short weeks the guineas will be allowed to free range.